A friend of mine passed away at the young age of 25. His was a life well-lived. Amos lived most of his life with kidney problems and had to be on dialysis. He finally received a new kidney and had a transplant. Apparently the transplant was going well, but one day he collapsed, just weeks after the operation. He didn't recover. I attended his wake and funeral. 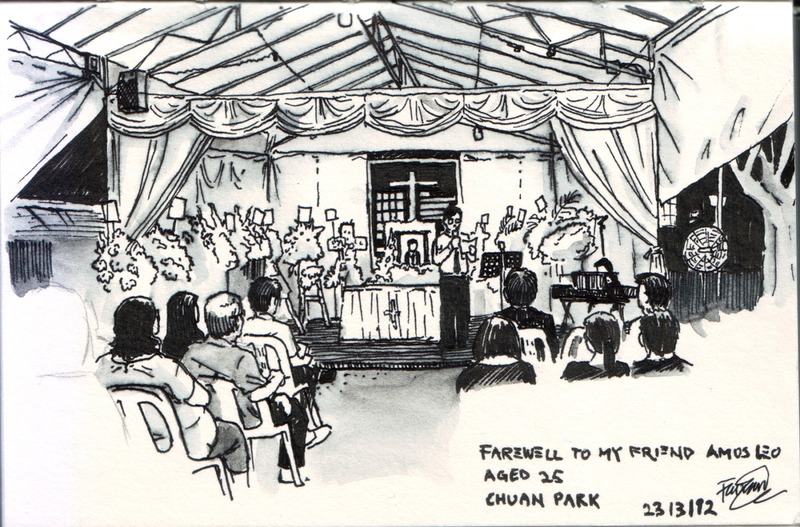 This picture was done during the wake service.